It’s been a really, really long time coming, but -- barring any last-minute glitch -- the city’s most anticipated new subway line is finally up and running. Well, partially, anyway. The first segment of the long-delayed subway line opened on January 1st, extending from 63rd to 96th Streets on Manhattan’s Upper East Side with three brand new stations along the way. This means that straphangers on the chronically overcrowded 4/5/6 lines should soon begin to experience a luxury known as “elbow room,” although complete relief won’t come until the rest of the line is finished, probably sometime next century. Seeing the funnyman from the famous show about nothing is actually quite something. 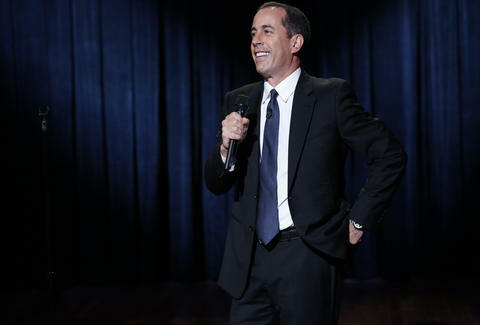 Comedian Jerry Seinfeld is extending his run of local shows into the new year, with 12 upcoming appearances over the next six months at Manhattan’s venerable Beacon Theatre, where he’s been performing regularly since last January. Expect much of the same observational-style humor that fueled his 1990s NBC sitcom Seinfeld as well as his current digital series Comedians in Cars Getting Coffee. Traffic problems have long plagued Midtown Manhattan, but ever since Donald Trump’s election as America’s next president, heavy security surrounding the real-estate mogul’s Fifth Ave skyscraper, Trump Tower, has made the congestion much, much worse. By all accounts, the fustercluck is likely to continue well into 2017. The good news? Now when your friend asks you to meet at a restaurant near her Midtown office, you can pull the traffic card as an excuse to stay at home. Seeing random strangers in their skivvies is usually good for a smile. For the 16th year in a row, subway riders citywide will be treated to a spontaneous underwear fashion show on January 8th, courtesy of NYC-based Improv Everywhere. The troupe’s annual No Pants Subway Ride encourages passengers to commute without trousers for the sake of comedy (or something like it). Slip into your best-looking undies, or simply enjoy the view. Or, better yet, avoid the subway and enjoy your own private pantless party at home. With the presidential race decided, there’s a whole new political saga to fixate on this year. NYC Mayor Bill de Blasio is up for re-election. Think your 2016 was bad? It was probably worse for Hizzoner, with multiple fund-raising investigations, a worsening homelessness crisis, and that embarrassingly tragic deer incident, among other debacles. Various challengers, including former City Councilman Sal Albanese and current State Senator Tony Avella, are lining up to unseat the incumbent mayor, but you can expect de Blasio to spend a lot of time campaigning against a different foe: current president-elect Donald Trump. The city’s longest running sporting event -- and perhaps its most captivating contest overall -- returns to Madison Square Garden from February 11th-14th. Nearly 3,000 of the world’s most glamorous dogs enter the nationally televised showcase every year, but only one truly fabulous pooch will be crowned “Best in Show.” A new wrinkle for New Yorkers watching at home this year: Fox Sports, not longtime broadcaster USA, is handling TV coverage in 2017. Traveling through the traffic-clogged Queens-Midtown Tunnel has never been easy, but it could get easier, under a new program to speed up toll collections. This month, MTA-operated bridges and tunnels are expected to begin a new cashless tolling program. Cars equipped with E-ZPass will be instantly scanned, while other drivers, who used to pay in cash, will have their license plates photographed and receive a bill in the mail. The program is expected to save drivers a ton of time -- and probably prevent countless cases of road rage. The city’s most illustrious power-dining spot dramatically closed its doors last year, but its saga continues with two hugely anticipated events in 2017. In the spring, the fabled Midtown location is scheduled to reopen under a different name (The Landmark) and different management (Major Food Group, operators of the popular Carbone, Dirty French, Parm and Santina). Then, in the fall, operators of the previous Four Seasons are expected to reopen the restaurant in a new location just a few blocks away from the original. Let the rivalry begin! Relaxed state regulations on pets in restaurants means that a very unique type of business is coming to NYC this year: the city’s first cafe for dogs. BYOD (which stands for “Bring Your Own Dog”) is the dream of avid dog lovers Lauren Hanlon and Verena Erhart, who aim to open the canine-friendly restaurant in Brooklyn this spring. (Check out their Kickstarter.) Expect a seasonal menu that notably does not include chocolate or grapes -- both of which are toxic to dogs. Embrace the nostalgia as one of NYC’s most beloved pro athletes receives one of the biggest honors in sports when the Yankees formally retire Derek Jeter’s No. 2 jersey on May 14th. The photogenic baseball star (and fitness club mogul) spent 20 years playing for the Bronx Bombers, winning five World Series championships and dating enough A-list actresses to keep the tabloids very busy. Yas Kween! The hilarious Comedy Central series will return for its fourth season in August 2017. If anyone can get us laughing in the new year, it’s co-stars Abbi Jacobson and Ilana Glazer, who spoof NYC’s millennial culture better than anyone else on TV. Experience a whole new form of automotive competition when Formula E racing comes to NYC for the first time from July 15th-16th at the Brooklyn Cruise Terminal in the Red Hook. The “E,” in case you didn’t know, stands for electric, meaning no smelly exhaust fumes usually associated with the traditional gas-guzzling speedway scene. 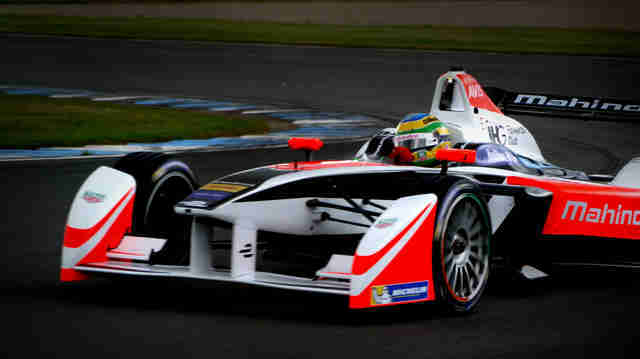 Though electric cars can go very fast -- reportedly upwards of 180 miles an hour -- the batteries don't last. Watching racers switch cars (fully powered backup vehicles are waiting on the sidelines) is part of the fun! Traveling to Manhattan by boat will be a more attractive option this summer when the city expands its ferry service with three new routes, connecting Astoria, South Brooklyn and Far Rockaway. More good news: Fares will be even lower than last year, with rides costing just $2.75, down from $4 on weekdays and $6 on weekends. Sure, it’s not until summer, but if there’s anything that can soothe any anxiety we have about this new year, it’s the promise of lots of pulled pork, ribs, and brisket! (Assuming you are not vegan.) The annual smoked-meat fest, taking place June 10th-11th in Madison Square Park, brings talented pitmasters from all across the country to NYC to cook up the kinds of regional delicacies you normally have to travel hundreds of miles to experience. After raising $50,000 via Kickstarter, Monk’s Meats, a mainstay of city food markets like Smorgasburg and Brooklyn Flea, is planning to open its own brick-and-mortar location in Bed-Stuy this spring. The vegan brand, founded by Chris Kim and Rebecca Lopez-Howes, has been serving up its popular “meats,” made from smoked seitan (aka wheat gluten), since 2012. Pay your bail money online -- finally! The arduous process of bailing your buddy out of jail should get a little easier this year. The mayor’s office has announced a new program, expected to begin this spring, which would allow payments by phone or online. That’s a lot more convenient than the current payment system, which requires you to personally show up in court -- or worse: Rikers Island.